To be an advocate you do not need to have any special education or background, simply the desire to help impact the lives of children and families in need. Devereux Florida’s goal is to educate our community leaders, friends and neighbors on the issues impacting our vulnerable children and families and to inspire others to get more involved with children’s issues. 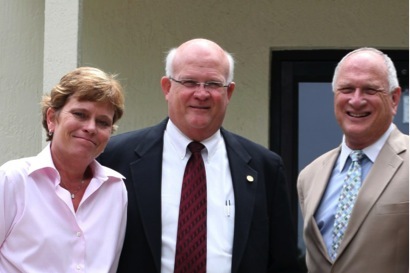 In an effort to learn more about Devereux Florida and the impact of the organization, Representative Dennis K. Baxley visited the Orlando Campus. Devereux is focused on advocacy initiatives on behalf of children and families. Steven J. Murphy, Executive Director of Devereux Florida. One of the best ways you can support millions of children in need is by advocating on their behalf. To learn more or to join us in our advocacy efforts, please contact Lindsey Phillips, Director of External Affairs at Lindsey.Phillips@devereux.org. Please check back periodically to learn about important priorities, and how you can help make a difference.